We’ve received some great feedback on our Small Business Saturday Initiative, and we’re more than excited for the opportunity to promote these wonderful artists and small businesses! If you have yet to make your holiday purchases, consider these wonderful artists and craftsmen for your holiday shopping. Remember, shopping small and buying local helps our local and overall US economy! At Frame USA, we’re 100% behind products that are made in the United States. “I am a fine artist specializing in equine art. I draw and paint whatever captures my eye, but horses will always be my favorite subject. I strive to capture a realistic, but artistic and expressive, likeness of my subjects. As a lifelong horse lover, I am pleased to donate a portion of sales from my Second Chances series to Pure Thoughts, Inc. Horse & Foal Rescue (www.pthr.org) or New England Equine Rescues (www.newenglandequinerescues.com). Both of these groups have saved the lives of numerous horses, and I am proud to use my art to help. Many of the prints in my shop are from my Second Chances series, an ongoing project in which I paint portraits of rescued horses and tell their stories. Click here to view Susan’s Etsy shop. Susan’s fine art painting is phenomenal! 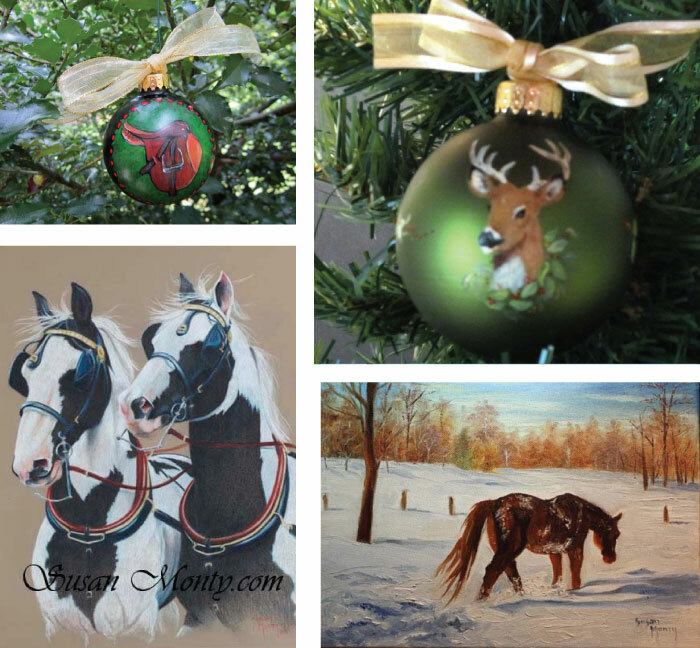 Be sure to check out her painted ornaments – perfect for the holidays. Click here to visit this Etsy shop. Shop Owner Mary Ellen uses our White Driftwood frames to create her simple, yet elegant Monogram framed prints! These prints are also great for the holidays, particularly as gifts for infants, weddings, or for those you want to inspire! 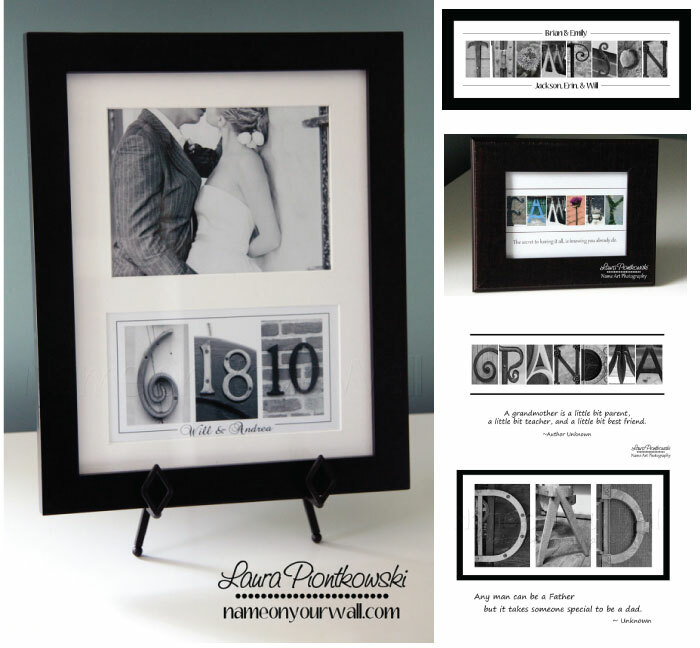 “Decorative photo frames, wood letters and more. 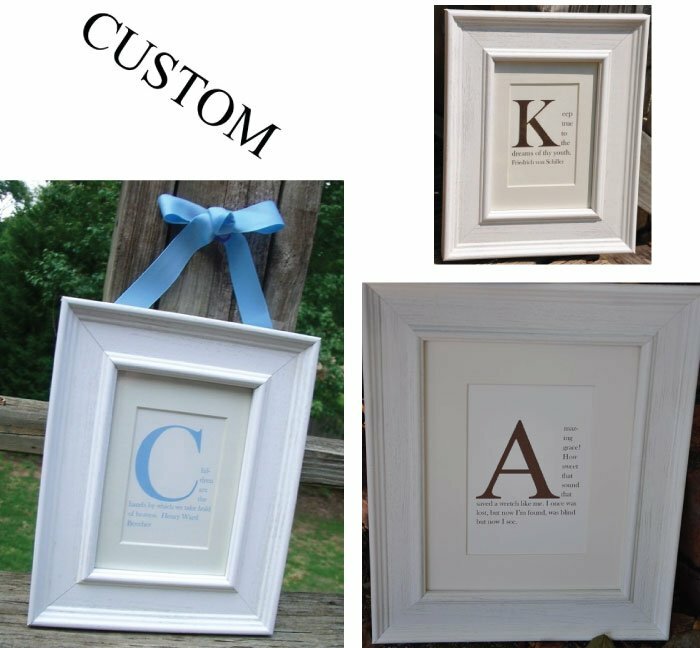 Great personalized gifts! Decoupaged and distressed so each item is unique. Any item can be customized. Click here to visit Junebug’s Creative Concepts on Etsy. 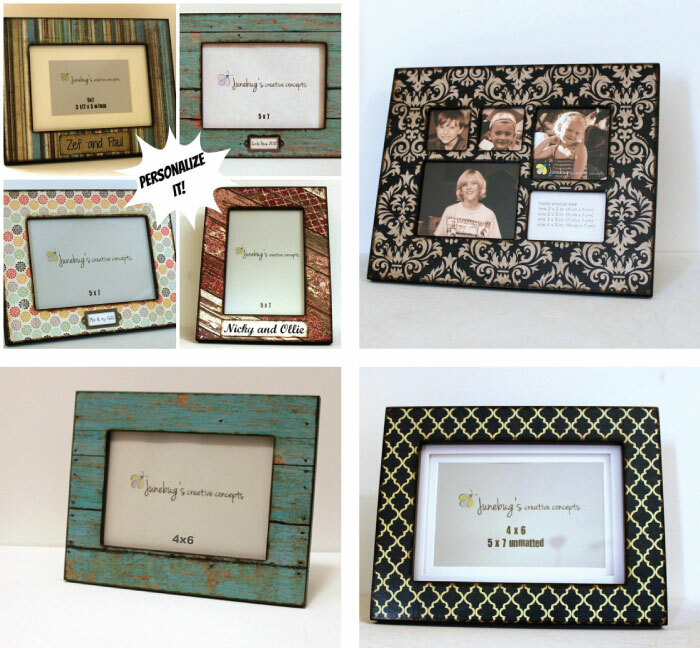 Stephanie Bruno, owner of “Junebug’s Creative Concepts”, uses our frame moulding to create beautiful decoupaged frames! “Name art photography, from Name on Your Wall, uses elements found in nature, architectural details and every day objects to create unique and personal works of art. They are the perfect solution for creative wedding gifts, shower gifts, housewarming gifts, new baby gifts, holiday gifts or for any other occasion. They are also the perfect way to showcase your name, or any word that is special to you, on your own wall. With so many different options for each letter, your creation will truly be unique. Find these prints and more at their Etsy shop! Click here for a link to his Etsy shop. 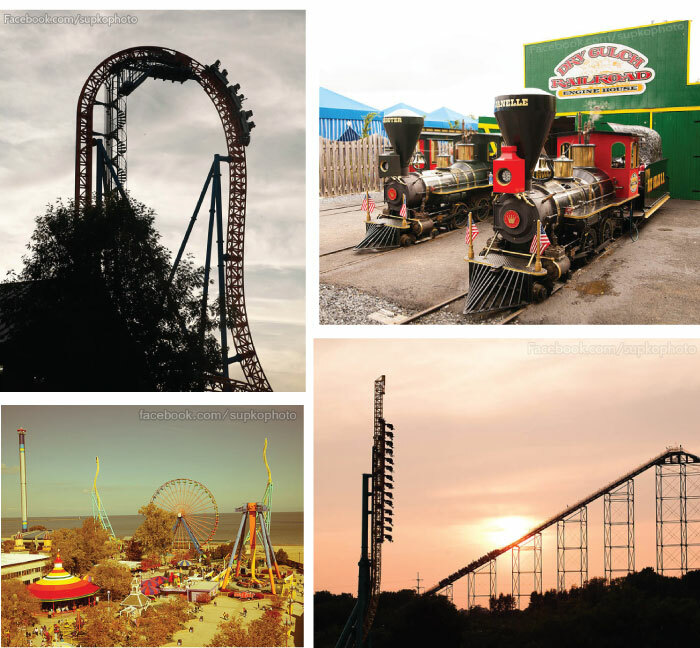 Beautiful photography – particularly for the rollercoaster enthusiast or nature-lover! 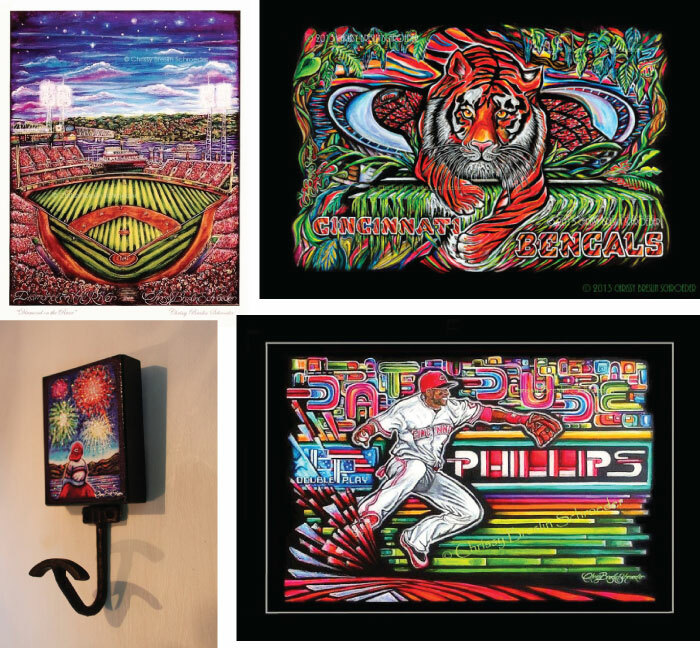 Chrissy Schroeder is a Cincinnati, Ohio local who creates a great amount of baseball-related artwork. Cincinnati is a great place for it to, since we’re also the home of the Cincinnati Reds! You can find her work by clicking here. We’ll be sure to keep updating this list as we continue to take submissions. Thanks for joining us in our goal to put America’s small businesses at the forefront of our economy! Small business owner? Leave a comment below and we’ll see what we can do for you!